We all know that expression, “Well, I’m only human.” Being human — what does it mean to you? Being human can mean making mistakes. And being human can also mean that incredible drive for love and care. I made some mistakes in my youth, and now my body has to deal with them. Yes, I’ve been going through those days of “if I had just not done this or that” or “if I had just started earlier in my healing” or “why didn’t the medicine work for me?” And it is time to stop. Life gives us a certain amount of time, and I want to live an effective self-generating life. I have an opportunity to focus on doing that over the next few weeks. With the support of my family and community, I have once again stepped onto the path of healing — realizing that healing and curing are two different gifts. My greatest fear is not shifting my lifestyle, but my ability to hold strong to it in stressful times. Like the crow that knows instinctively if she drops the walnut on the road it will soon have food to eat, I too want to instinctively know that being in my body and feeding it with health, I live a life of self-love, congruency and authenticity each time my foot lands on the path. I share this with you because I believe speaking these words into my community is like opening the cage of a sheltered bird and letting it fly. I realize I can come to this path with fear and distrust and be miserable, or I can come with wonder and curiosity. I choose the latter. So with wings spread wide I stand up and say: I deserve to be healthy and have a body that is effective, loving and vibrant! The following is my personal practice for November, and I hope you find it helpful for your own path. What practice are you in? Remember, we are always practicing something. Make yourself comfortable, and take a deep breath. Sense into what you want to heal in your life. Feel in your body where that story lives. I am going to share a story that I wrote as I began this journey to healing. The subject may seem trivial, but it is my greatest foe, and I wonder what your greatest foe may be? 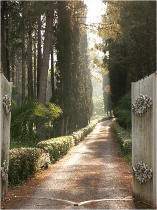 Today is that “open the door to a fresh new path” day — stepping out — a whistle on my lips, a blue bird on my shoulder. Today is that “crack the door open to that well-trodden path” day — just hesitating enough so the door starts to close. I pick up my 50 pounds of extra load, the rock that hangs so beautifully around my neck, and begin the plodding out onto the path — the path that is worn 2 to3 feet deep into the earth. I ask myself, how many times do I have to do this? I sway back and forth like an elephant, carrying my load that I have built with candy bars and sugar. Damn that Candy Land game. It was my favorite as a child. But there are no slides of candy or gum-drop fountains on this path. So how do I cherish this moment, stand here in the now. Can I stick the present behind the four corners of the ancient album? I begin to open my eyes to my surroundings and the sugar rain begins to fall. I hold out my hand, and the white stuff that has been my enemy for life begins to accumulate. Oh, this small grain, the size of a pinhead, has ruled my life for too long. I let it cascade down to the ground, and the white glistening leaves traces in my hand. I keep moving, knowing if I stop I will fall into the sleep and be covered in the granulated white blanket I have cherished for so long. I shake it off and the sugar lifts like small silver winged birds and begins to move across the sky like a twisting ribbon moving further and further away. I am free for now. I walk down the path, each step I am here now, I am here now, I am here now. Take a deep breath and bring your attention to yourself. Drop in to the center of your body, feel your feet on the floor. Open to the wonder and curiosity of your life (let judgment fade) and ask what has ruled your life for too long. Where does it live inside of you? Feel your body — it will speak to you. To all my wonderful friends, family and community, I thank you for your love and support. I look forward to sharing more of my journey with you. 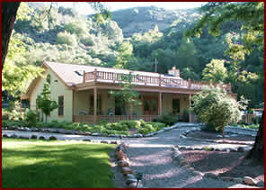 Sandy Sagrave and I will be holding our next Inspired Presence retreat for women March 25-28 at the Saratoga Springs Retreat Center in Upper Lake, California. This retreat is a fun, practical, deeply inspiring exploration of our calling to contribute to life now. Using powerful somatic practices — and drawing on feminine wisdom — we’ll journey together to cultivate a deep awareness of our true power and presence. If you're interested in reserving your spot now or have any questions, please contact me.